Craving Lobster or Dungeness Crab? Head over to the New England Lobster Market & Eatery located in Burlingame, California, near San Francisco International airport – they fly fresh Maine Lobsters in daily. Dining al fresco at this casual-style New England eatery is reminiscent of a wonderful lunch we enjoyed at Freeport on the South Shore of Long Island – the only thing missing is a water view, but the food more than makes up for it. This entry was posted in Food / Restaurants, Fun Things to Do, San Francisco Bay Area and tagged burlingame, crab, lobster corn chowder, lobster rolls, lobster tacos, new england, Restaurant, seafood market on June 23, 2013 by Alana. Duke’s is a “must-see” if you’re in Malibu – the restaurant, bar, and outdoor deck area feature over 300 feet of picture windows, overlooking the Pacific Ocean You sure can’t beat the views (watch short video below of speedboat riding the waves) – and the food is pretty terrific too! This entry was posted in Food / Restaurants, Fun Things to Do, Travel, U.S. / North America and tagged dukes la, Dukes Malibu, los angeles, Malibu, malibu bar, malibu oceanfront restaurant, malibu restaurant, Restaurant, waterfront on May 14, 2012 by Alana. We’re always on a quest to find that perfect hamburger. And our latest favorite place doesn’t disappoint. Not only are these 1/2-lb fresh, all-natural gourmet Angus Beef burgers grilled to juicy perfection, they come served with all the trimmings on a deliciously light gourmet sesame seed (or whole wheat bun, pictured above) delivered fresh daily by Le Boulanger). And wait until you taste their “can’t-have-just-one” Sweet Potato Fries – they’re killer! This entry was posted in Food / Restaurants, San Francisco Bay Area and tagged belmont, best burger, burgers, godfathers, hamburger, hot fudge sundae, ice cream, onion rings, oreo, Restaurant, sf peninsula, sweet potato fries on March 19, 2012 by Alana. 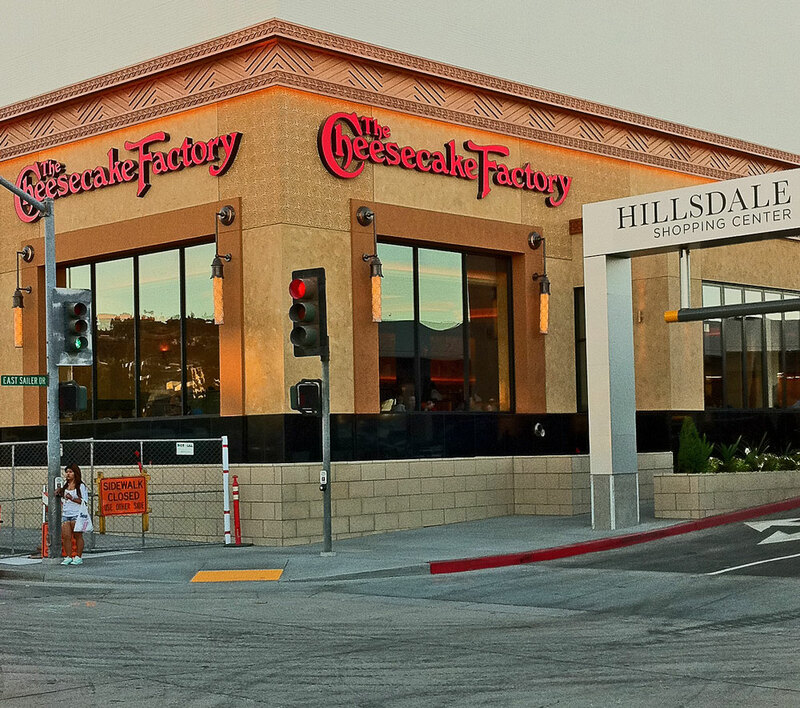 Finally… a Cheesecake Factory in San Mateo! The restaurant’s Grand Opening was on Monday, September 19, 2011 at Hillsdale Shopping Center (across from Trader Joe’s and Old Navy) and what an opening it was – you wouldn’t believe the crowds! We’ve enjoyed many a fine meal at some of their other locations (there are over 150 of ’em), including San Francisco, Palo Alto, Los Angeles, Las Vegas, Florida and New York – let’s see if this new San Mateo location takes off – we’re sure it will! This entry was posted in Food / Restaurants, San Francisco Bay Area and tagged cheesecake factory, hillsdale, hillsdale restaurant, Restaurant, san mateo, San Mateo Restaurant on September 21, 2011 by Alana. Please welcome guest blogger Clarlotte from the U.K.
selection, here are the 5 top recommended delis to ensure you get the most out of your archetypal New York dining experience. This entry was posted in Food / Restaurants, Travel, U.S. / North America and tagged delis, new york deli, new york delis, NY, Restaurant on November 17, 2010 by Alana and Barry.